This month, we travel to a remote location between the Vumbura River and Selinda Spillway in northern Botswana to find elegance and exclusivity under canvas at Kadizora Camp. 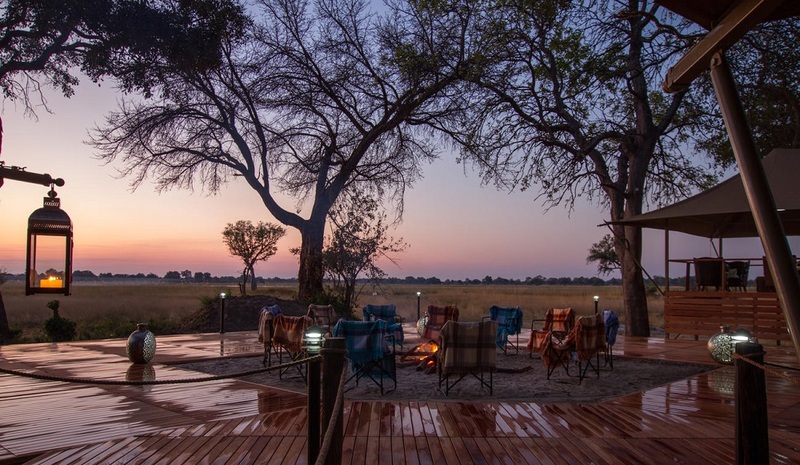 Tucked away in the northern section of the famous Okavango Delta, Kadizora Camp is a peaceful hideout of just 13 private tents that sit under a canopy of giant marulas, sycamore figs, jackalberries and rain trees. Along with its ideal position and picturesque surroundings, Kadizora offers an authentic safari experience with a wide range of activities, diverse wildlife and warm, local hospitality. The entire camp is elevated on wooden platforms and at its centre is the sandy firepit, surrounded by the bar, lounge, reception and dining area. 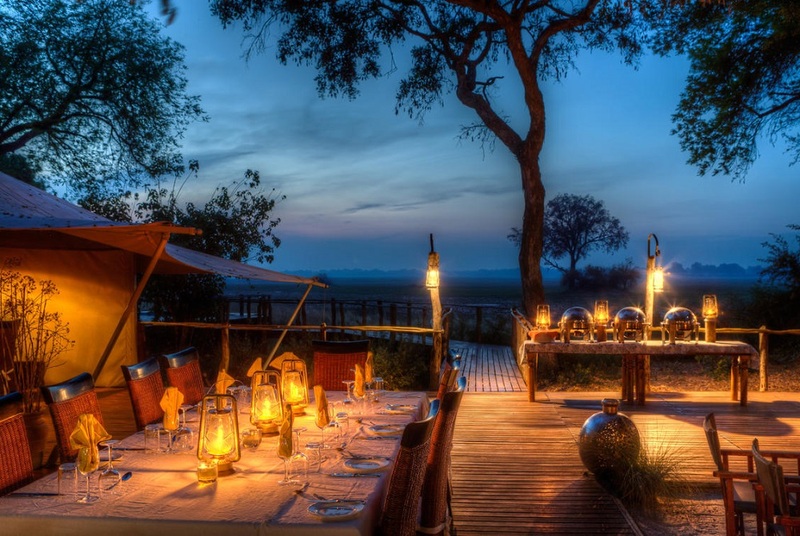 As dusk signals the end of the day and a clear sky becomes scattered with twinkling stars, guests gather around the firepit with drinks and blankets to recount the highlights of the day. Raised wooden walkways link the different areas of the camp so that during your stay, you are afforded excellent views of the delta floodplains. 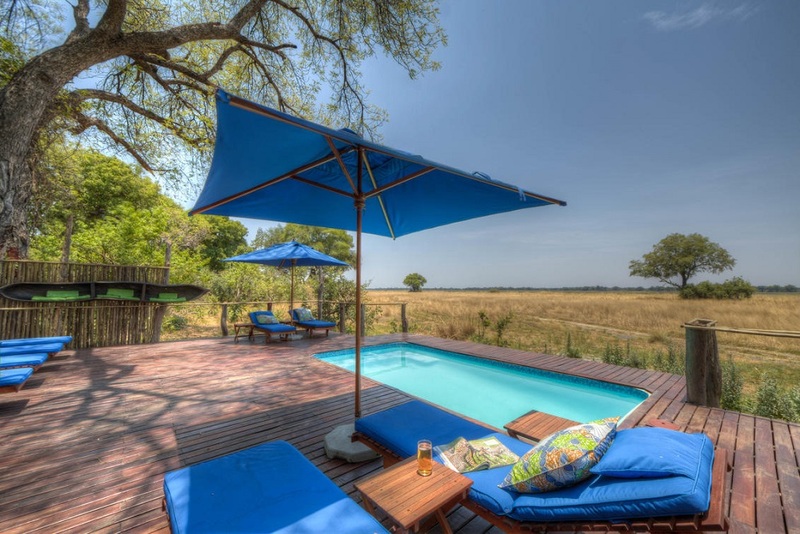 When not exploring the wild Okavango during the day, guests can relax by the camp’s pool on comfortable sun loungers or take a dip in the cool water to shake off the sun’s heat. Neutral materials with soft colours and wooden furnishings are carried throughout the camp and, where possible, the use of natural light is maximised. Like the firepit, the communal lounge is a comfortable meeting place for like-minded people to collect, share stories and perhaps even make life-long friendships. 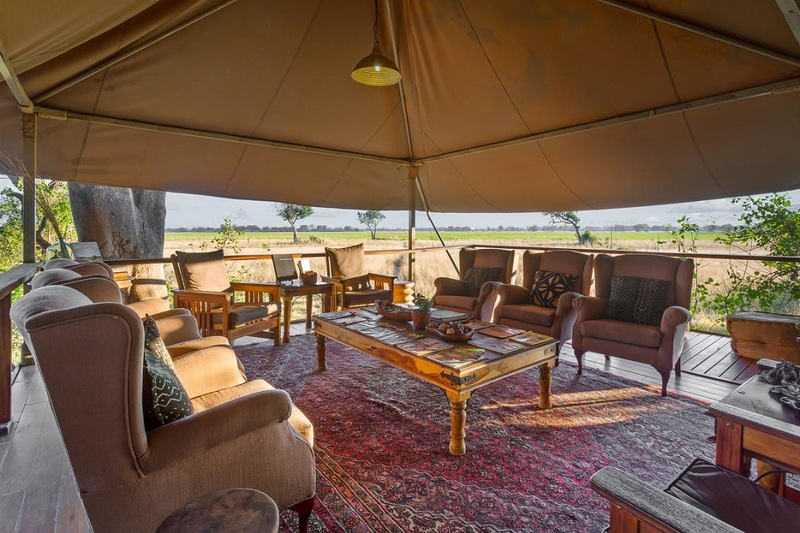 The camp’s accommodation consists of four standard tents and nine luxury tents, each one well-positioned to provide privacy and iconic views of the delta. 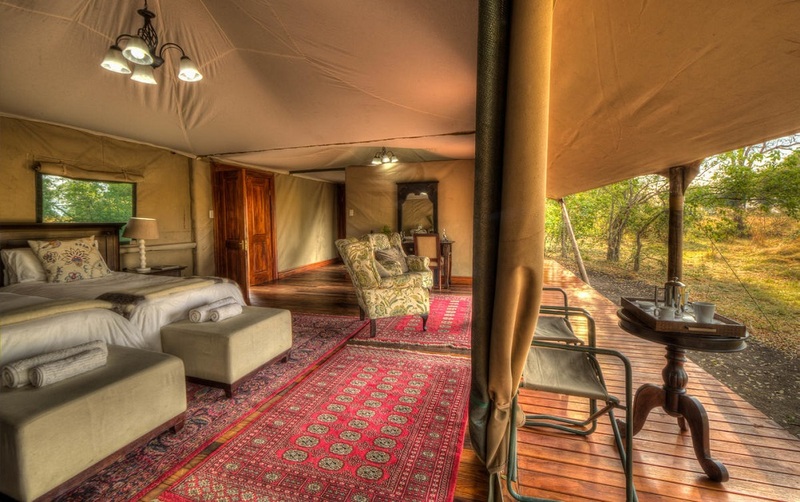 All 13 tents are spacious, comfortable and in keeping with the classic safari tent style. In between activities, guests can retire to their tents for an afternoon nap or to take in their natural surroundings from the private lounge or deck. Simple elegance with added luxuries makes each of the tented suites at Kadizora a special place to retreat to after a day exploring the great delta. Plush king-size beds and occasional chairs behind the tent flaps are met with casual seating outdoors. 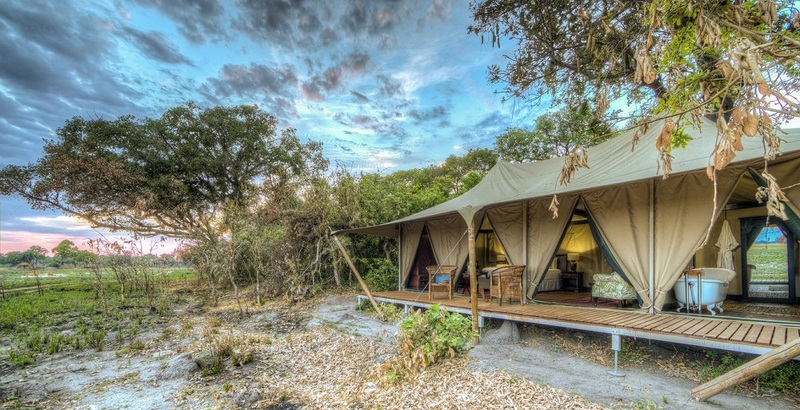 Each tent has a private wooden deck which flows from the tent’s interior closer to the bush beyond. 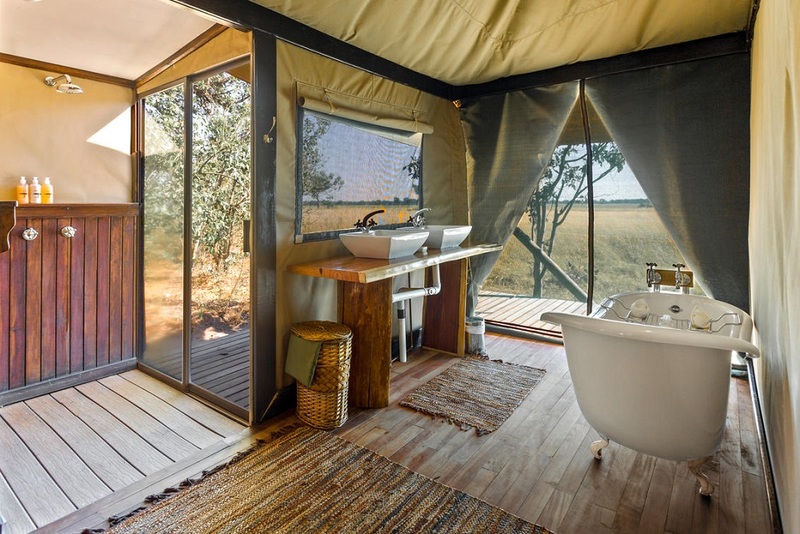 The tents are each fitted with a beautiful, spacious en-suite bathroom. It features a romantic ball-and-claw bath with modern fittings, double vanities and outdoor shower. The expansive floodplains can be enjoyed even while soaking in the tub or rinsing off in the shower. If guests want added privacy, the tent flaps can be unrolled and zipped closed. 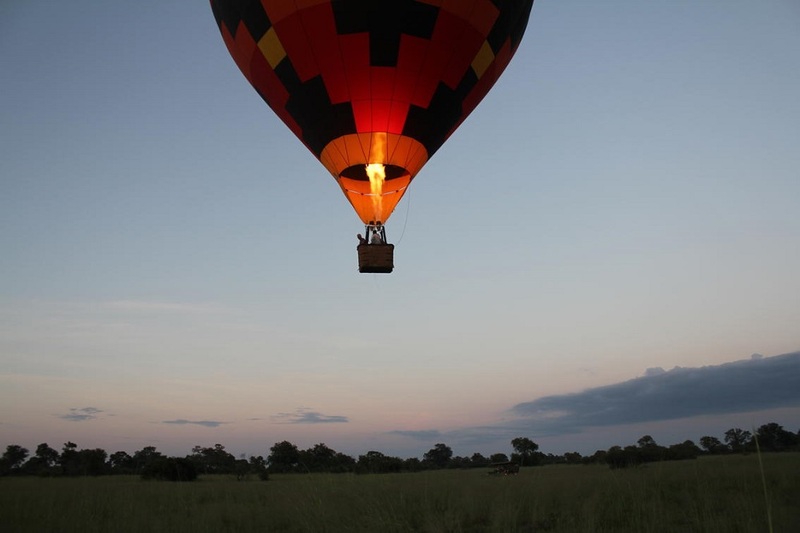 Kadizora is particularly special as it is one of only three camps in the Okavango Delta to offer hot air ballooning. Soaring over the delta at sunrise gives a completely different perspective to the traditional game drive safari. Wildlife are often seen roaming across the plains amidst breath-taking landscapes that are bathed in warm morning light. The food at Kadizora is thoughtfully prepared using fresh and local ingredients as much as possible. Pre-dinner drinks kick the evening off, after which dinner is served alfresco when the sky is clear and the stars bright. A candlelit table, glasses of fine wine and plates of appetising food are a perfect way to end off each day. 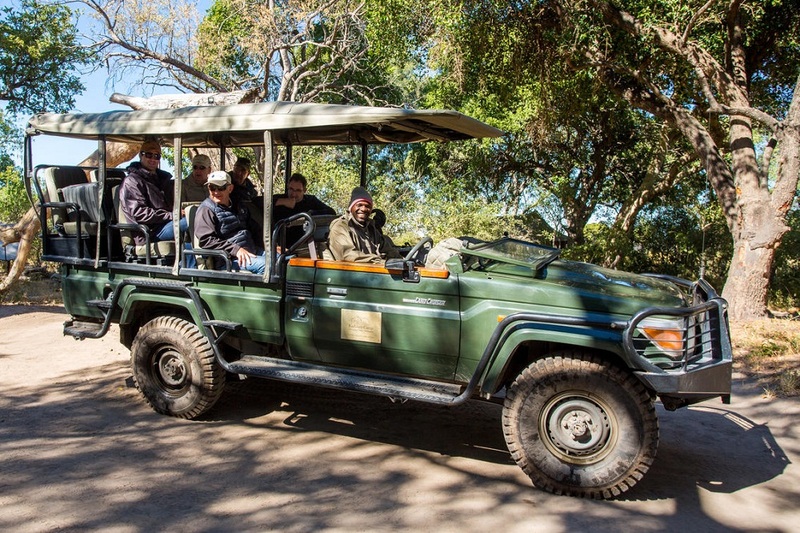 Guests at Kadizora can also take game drives on open vehicle safaris, walking safaris led by knowledgeable field guides as well as a mokoro (traditional dug-out canoe) excursion through the meandering water channels of the delta. This magical corner of the Okavango Delta teems with varied animal, bird and plant life so that every moment in the bush is well-spent. 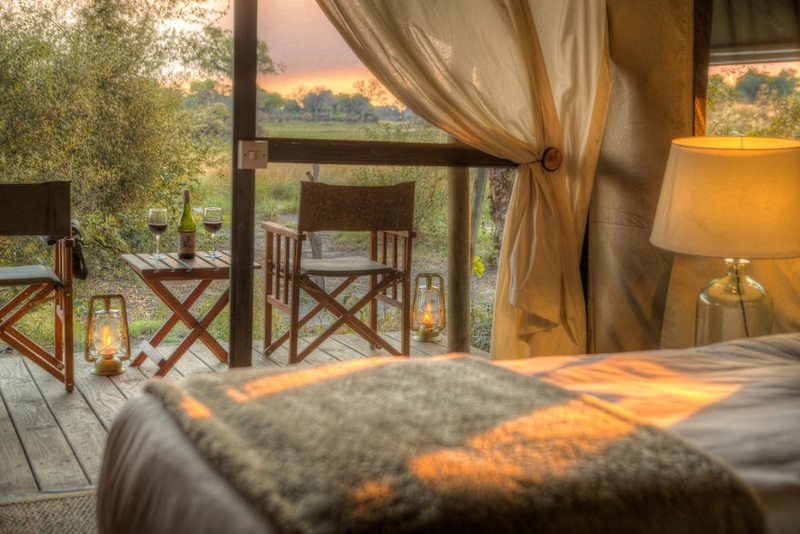 Thinking of making Botswana your next holiday destination? Contact us for a truly wild and remote safari experience.